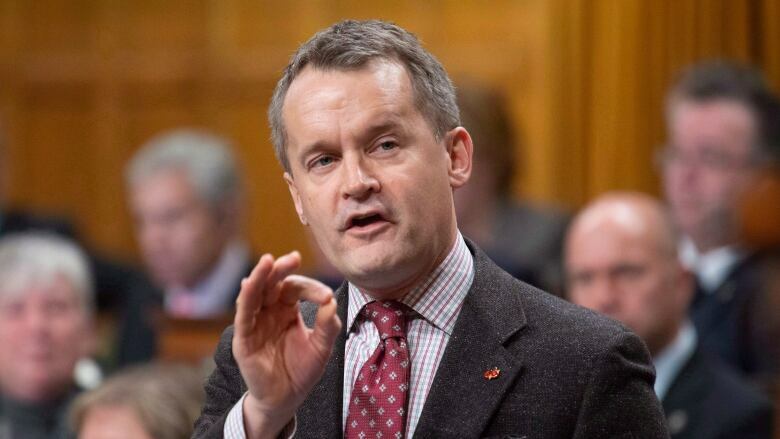 The federal Minister of Indigenous Services Canada (ISC), Seamus O'Regan announced Friday he is planning to visit Cat Lake to witness the housing conditions in the northwestern Ontario First Nation, but will first meet with the chief of the community, Matthew Keewaykapow, in Thunder Bay. Leadership in the community 600 kilometres north of Thunder Bay declared a state of emergency in January. A statement from leadership officials at that time said the "profoundly poor conditions of housing," in the remote community has led to "needless illnesses and related deaths." Those conditions include mould, leaking roofs and other structural problems. O'Regan told CBC News on Friday that he is "completely focused on what we can do in the short term and what we can do in the long term, and I'm very serious about making sure we take our direction from the community." He said the government is starting repairs "right away" on a number of items a joint task force, which includes Indigenous leaders and ISC officials, has recommended, including "mould remediation, weather stripping, door and drywall repair and in some places we have some replacement to do there. We're working with the task force to determine the priorities both in the short term and the long term on what needs to be replaced, what needs to be repaired and we're trying to figure out solutions for families that need some alternate accommodations as well." Increase the community's nursing staff to assist with any additional health-related concerns. O'Regan said the exact dates for the meetings in Thunder Bay, which will be facilitated by Assembly of First Nations National Chief Perry Bellegarde, and his visit to Cat Lake have yet to be confirmed.